Episode 11: Interview with Thomas Gold! Episode 11 starts with a voicemail we got from CHI-EDM.com. 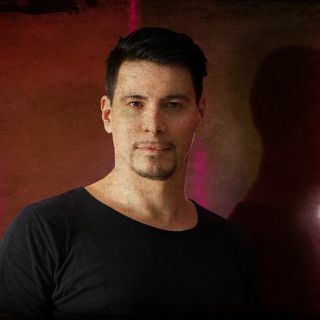 Then an in-depth interview with Thomas Gold a Berlin-based DJ and producer who within the last couple of years has released a string of smash singles played the planet’s foremost clubs and festivals, remixed some of the biggest pop acts in existence and garnered praise from a whole host of his contemporaries. Since storming onto the scene in 2006, the German artist has emerged as one of the most ... See More widely admired producers in modern dance music. His breakout remix of Adele’s “Set Fire to Rain” eclipsed 15 million YouTube views, while his reworks of industry icons like Lady Gaga, OneRepublic and Miike Snow continue to dominate dance floors worldwide. As a globetrotting international DJ, Gold has taken his talents from the studio to the stage in unparalleled fashion. And his new release “On Fire” is our Breakout Song of the Week! In this Episode, we hear about a crazy fan that got injured during a show, and Gold opens up about his studio and creative process.